Gel enable to enjoy designs for around 3 to 4 weeks. As it is possible to customize compare to options, it is recommended for enjoying various nail arts. 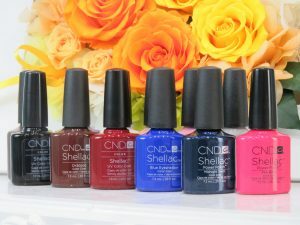 Shellac is a hybrid gel nail that combines the merits of nail polish and gel. Although it looks like nail polish, it enable to enjoy designs for around 2 weeks.